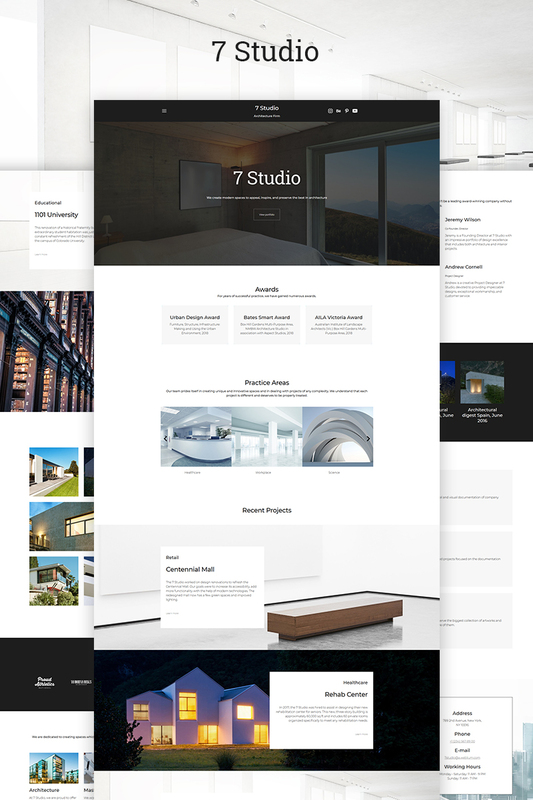 Weblium Architecture Firm Website Template works perfectly for the architecture bureaus and individual architects. We have analyzed the websites of the most successful architecture companies and have determined 7 pages and 43 blocks that will make your website stand out from the crowd! Create a website for free just by signing up, choosing a template, changing some items and adding the content! Increase your customer base now: Weblium is a modern website builder backed up by the expert web-development studio, and it will let you easily create the perfect website for your business within just an hour, without coding! Use Weblium Editor to easily Ñreate a website, relying on AI Design Supervisor that will ensure that the new site looks great whatever changes you make. Experiment with Smart UI Kit and change the design schemes the way you like! But most importantly, your website will load fast (scoring 90-100 in Google PageSpeed Insights) and be responsive to all devices by default!